The hot summer is slowly coming to an end and it’s time to get the autumn fashion out of the wardrobe. In terms of fashion, autumn with its wonderful colours is a beautiful season – finally we are allowed to wear scarves, turtlenecks, sheepskin jackets, tweed fabrics or wool pullovers again. The days are getting cooler again, the game- and truffle season is coming and we are already looking forward to our journey to Piemonte. Autumn is not only an highlight in terms of culinary delights, but also when it comes to fashion. 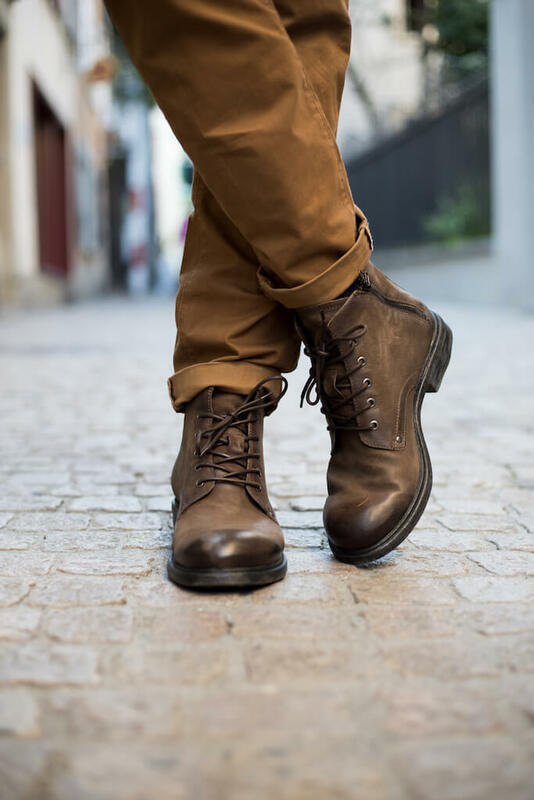 Today we show 3 fashionable variations of outfits for the coming autumn days, we leave the suit at the wardrobe – but you can already look forward to a few English looks in 2-3 weeks. 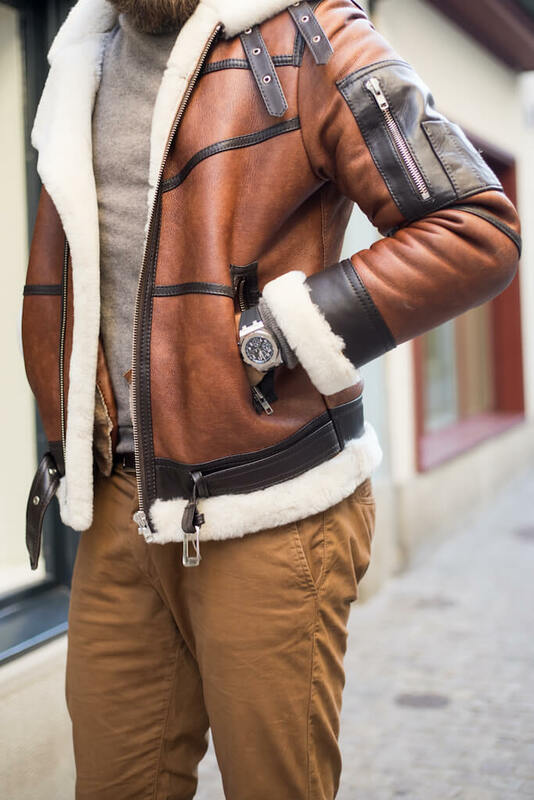 Already in the 40s they were worn by the British Royal Air Force, they are the fashion accessory in various Hollywood movies and at the last Pitti we saw that sheepskin jackets are back in fashion. Sheepskin is hard-wearing and therefore well suited for the production of clothing. The jacket is perfect for cool days and evenings and can be combined with turtlenecks, chino trousers, wool sweaters or jeans. Small insider tip: Cockpit USA has a few very nice models. 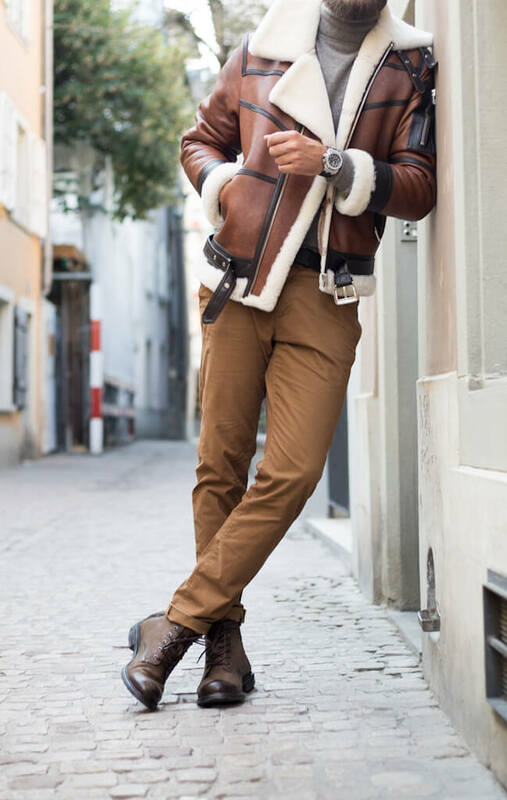 A sheepskin jacket goes particularly well with boots. 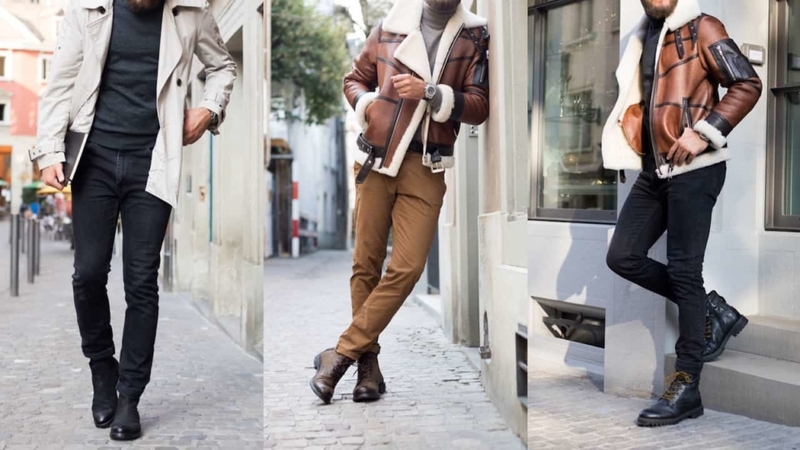 September will probably remain relatively warm, so autumn fashion can also be combined with a trench coat. 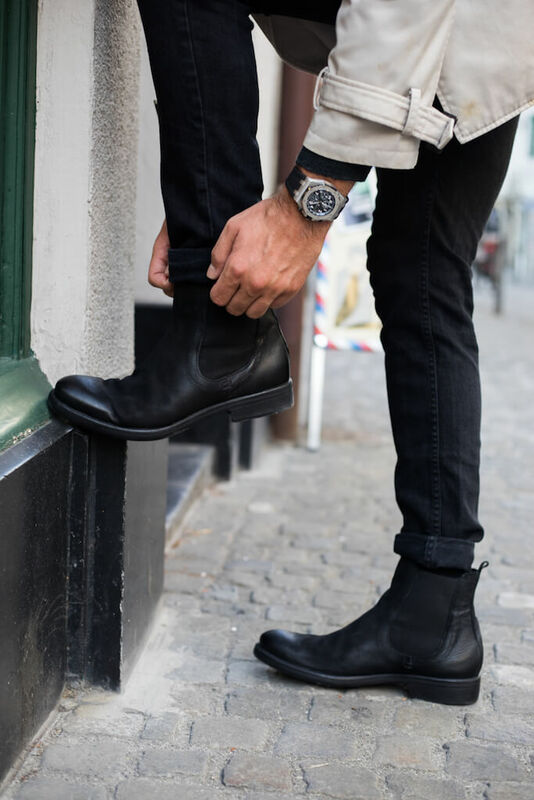 Here you can see a combination of a trench coat, turtleneck made of merino wool and black boots.